1904. 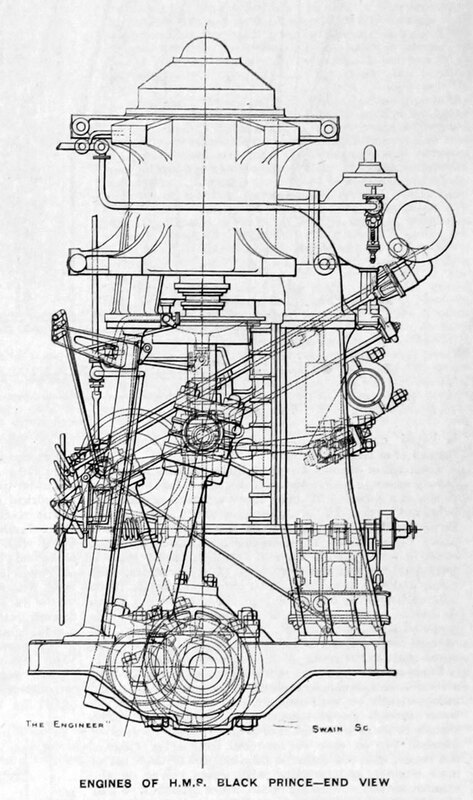 End view of the engine. 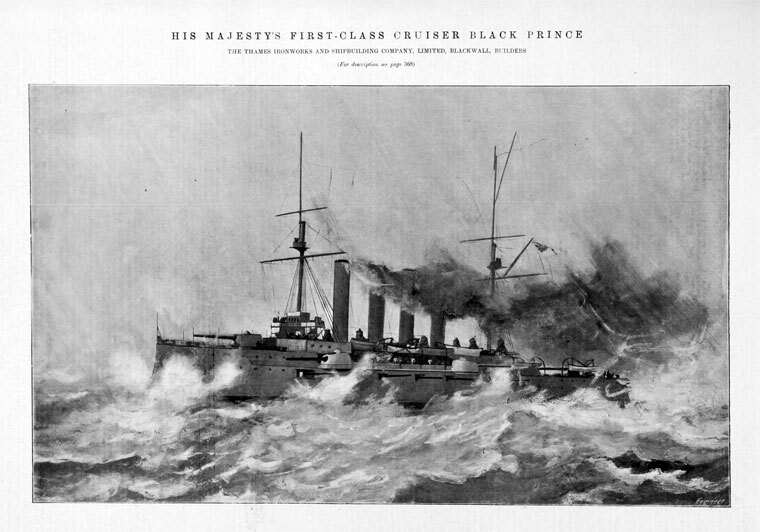 1859-60 Robert Napier and Sons lost money on construction of their first ironclad warship, HMS Black Prince, because of the difficulty of manufacturing wrought iron armour plate to the Admiralty specification. She was launched in 1862. 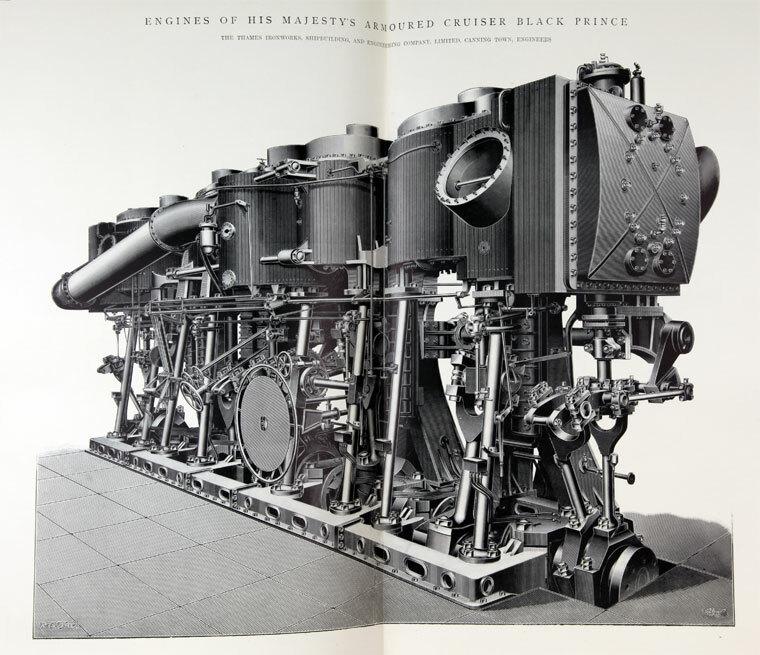 1904 The Thames Iron Works, Shipbuilding and Engineering Co built a cruiser by name of Black Prince. This page was last edited on 26 February 2017, at 11:17.